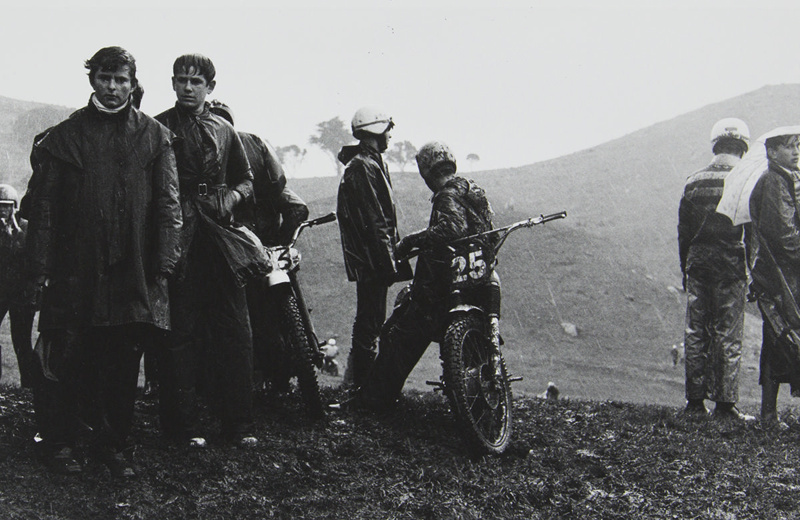 About this objectMen wearing raincoats standing in the rain by or with motorbikes at the top of Mangere Mountain, a large volcanic cone outside of Auckland. The other side of the cone can be seen in the distance. People wearing helmets and motorbikes can be seen in the valley of the cone.